It's a good thing the politicians who formed our Constitution more than two centuries ago were not politicians of the cheaper kind. That was a time when they could have initially pondered picking this newly formed nation's chief executive via the simple expedient of crowning a king. Fortunately, they recalled they'd had enough of kings with George the Third from across the waters. No more, they resolved. So they gave us a republic, "if you can keep it," as Ben Franklin reportedly admonished. Of course, we have since learned, as our forefathers worried, no form of government is necessarily unalloyed paradise. As another British gentleman, Winston Churchill, later warned, democracy is the worst form of government man could devise – "except for all the others." Uh – those "inexpensive politicians"? The men who created our political system may have foreseen the inevitable "silly season" that would occur in future centuries' battles for our federal, state, and local governments here, but that was the price to be paid as opposed to – "all the others." Thus, today in the 21st century, another silly season is upon us: A congressman from Maryland, one John Delaney, a Democrat, has issued a daring challenge to his state's Republican governor, Larry Hogan, to "denounce" the front-runner in the GOP presidential sweepstakes here and now in 2016. That national GOP front-runner, of course, is Donald Trump. 1 – Delaney is a Democrat congressman in a normally conservative district in a historically Democrat state. 2 – Republican Governor Hogan won an upset victory in 2014. Democrat Delaney reportedly has dreams of becoming governor himself in the next Maryland gubernatorial election in 2018. (We're not through 2016 yet, and yet this "inexpensive" politician is pulling a stunt for 2018. And you wonder why so many Americans hate politics: They're bored with the transparent "permanent campaign" and its assorted non-stop fakeries. 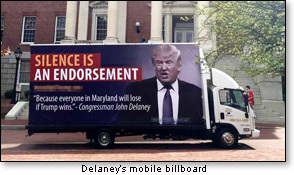 3 – Collaborating with the fully operating "denounce" industry, Delaney's supporters have rolled out a van with a huge cartoonish sign on it, urging Governor Hogan (not up for re-election this year) to join "people of all parties" and "denounce Trump's campaign." Think of that. There are factions and even governments in foreign countries that vehemently oppose the right of candidates to run if they dare to disagree. But silly me, I thought this was America, where we have every right to disagree with a candidate's views and question whether his outlook on the issues raises questions about whether he should occupy the elective office he seeks. That's the way we do it in America, Mr. Delaney. No matter what part of the world you most readily identify as the highest model of governance, that's the way we do it here. We do defend the right of you or any other citizen to disagree with Trump, Hogan, or any other office-seeker on solid issues. It's something else to "denounce" him just for running. Delaney's campaign against Hogan – and (by extension) against Trump – smacks of a "guilt by association," one of the more unlovely tactics used by some politicians, possibly even years in advance of their planned campaigns. Mr. Delaney lectures Governor Hogan because he will not "denounce" Donald Trump, whose ideas, Delaney stresses, are out of sync with "Maryland values." (Gasp!) Hogan, BTW, as of this writing, has endorsed no one in the current race. He did back Governor Christie of New Jersey before the latter dropped out. And how do you define "Maryland values"? Well, mostly, those values are normally politically defined as "liberal" or "leftist." Oh, but you see, Mr. Delaney claims a sort of semi-conservative mantle – or at least barely enough to get by in his partly conservative district. 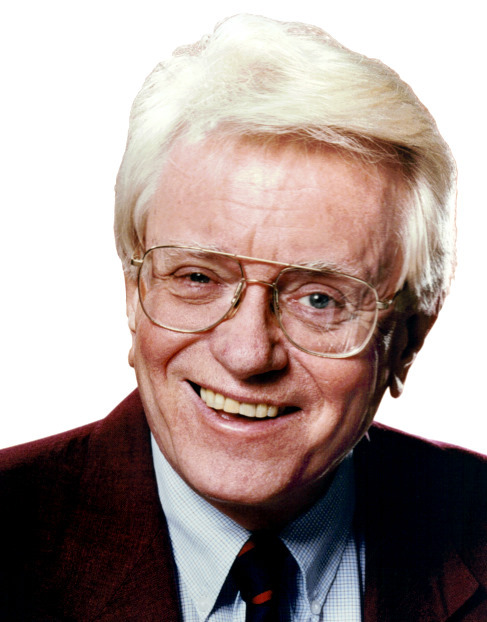 His actual voting record, according to the Almanac of American Politics, is 71% liberal to a mere 21% conservative. Hmmm. What does this mean? We mustn't be too suspicious of the man. It would be really nasty to voice wonderment that this second termer is simply bored with his job and thirsts for the governorship three years hence so he can throw off a conservative costume and return to public harmony with his real beliefs – in tune with "Maryland's [liberal] values." And of course, never mind that those values left Marylanders unimpressed when in 2014 they tossed aside such pipe dreams by electing a Republican businessman. Here, after all, is a man whose yearning for "Maryland values" cries out for bullying a candidate – not just for his views, but for daring simply to offer himself on the ballot in a presidential campaign. Mr. Delaney is trying to devalue Governor Hogan's political credentials by saying he has failed to "denounce" Donald Trump. But who are the congressman's friends? "Yet Delaney benefited from some high-powered connections. He is a friend of both former President Bill Clinton and former Secretary of State Hillary Clinton and donated bundled contributions to her 2008 presidential campaign. Bill Clinton endorsed Delaney in the primary [that resulted in his election]." 4 – A "First Lady" who – when greeted by a Secret Service agent at the White House with a "Good morning, Ma'am" – responded with "- - - - off!" 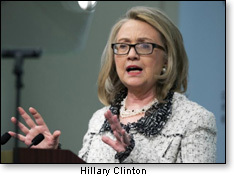 5 – A Secretary of State who played fast and loose with e-mails in which lives were potentially endangered. All of these issues – scratching the surface – hopefully do not represent "Maryland values." And any day now, we can expect Congressman Delaney to rise in indignant disapproval and send campaign wagons to the Clinton headquarters, while demanding that Hillary Clinton join "people of all parties" who will "denounce" such practices as an "affront to Maryland values." Such serial outrages are worthy of a series of "denouncements," right Congressman? Mr. Delaney? Hello! Anybody home?